We are committed to building a network to connect global knowledge covering all aspects of coastal zones of the World to intensify the impact of research and find new ways to accelerate sustainable development. We promote the active collaboration between nations, disciplines, programmes, researchers and stakeholders to ensure knowledge is generated in partnership with society and users of science. We partner with individuals, programmes, projects and organisations to contribute to our vision and research priorities and goals for engagement and capacity building. To let us tailor our contact with you better, please tell us a bit more about you. 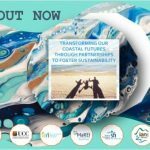 Future Earth Coasts operates with a distributed organisation of Regional Engagement Partners. Would you like to tell us anything else about yourself? We welcome all disciplines of the scientific community, policymakers, managers and stakeholders interested in any aspect of global environmental change in the coastal zone to become part of our network and community. To find out more about Future Earth Coasts, become part of our community, sign-up to our mailing list or discuss opportunities for collaboration and partnership with you, your organisation or project please send us a message.